We have played all sorts of venues for a variety of audiences. If you think we might be right for yours, drop us a line at gigs@thetreads.net - we have our own PA system, and our rates are reasonable. Saturday, April 20, 2019 - Glen's Garden Market, Washington, DC. We will help Glen's celebrate yet another year of being awesome. Noon to four, and always free. Friday, March 22, 2019 - Capitol Cider House. Our guitarist did the show with strep. It was authentically gritty! No regrets. Friday, January 25, 2019 - Capitol Cider House. An intimate venue with an excellent crowd. 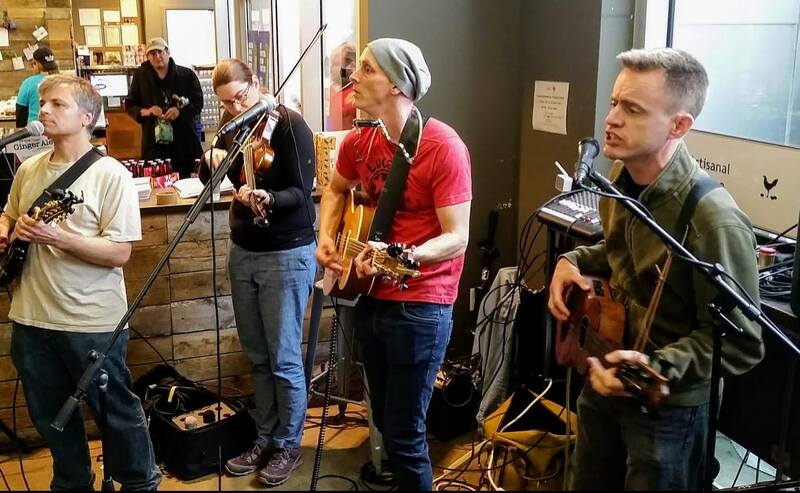 November 29, 2018 - Petworth Battle of the Bands. We played an electric set, had some EQ issues, then we all voted for the other act (they were good). At the Capitol Cider House. Saturday, September 8, 2018 - Petworth Palooza, Washington, DC. The less said about this gig the better, but basically it rained so hard our bassist tripped a circuit breaker plugging in his gear into a wet power strip, and we had to decamp to a small indoor venue and play a stripped down acoustic set. Saturday, May 5, 2018 - Washington, DC (private party). Sunday, April 22, 2018 - Glen's Garden Market, Washington, DC. We helped Glen's celebrate Earth Day Birthday for the fifth year running. This was the best yet! Sunday, April 11, 2018 -Petworth Bandstand, Washington, DC. A showcase of local talent with some other great bands on the bill. Saturday, September 9, 2017 - Petworthpalooza, Washington, DC. 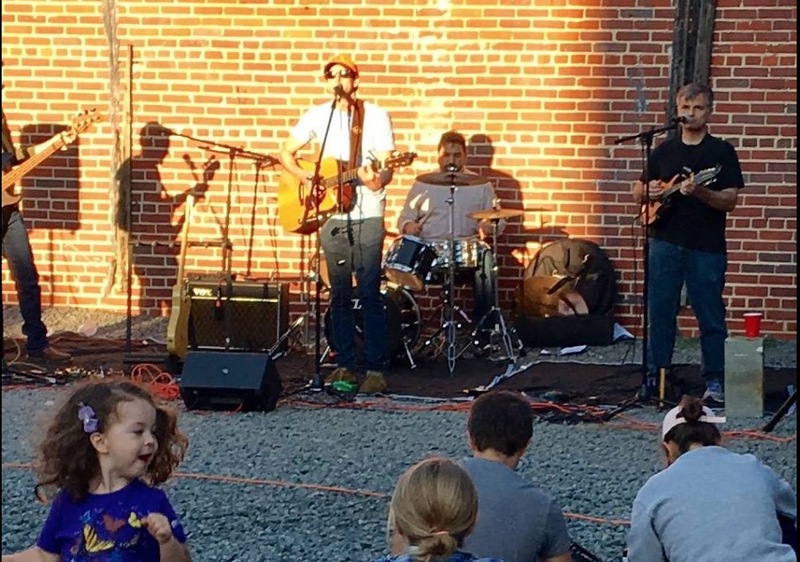 We headlined a festival of Petworth bands. Saturday, September 5, 2017 - Alexandria, VA (private party). Saturday, April 22, 2017 - Glen's Garden Market, Washington, DC. We helped Glen's celebrate Earth Day Birthday once again. Saturday, September 3rd, 2016 - Petworth Farmer's Market, DC. 10am - noon. Once again, entertaining the good folks at the farmer's market. Saturday, July 2, 2016 - Rock And Roll Hotel, Washington, DC. Opening set for Green River Junction, with the DCeivers. Three great bands in an awesome venue. We had a great time. Friday, June 17th, 2016 - Sehkraft Brewing, Arlington, VA. 9pm to midnight. 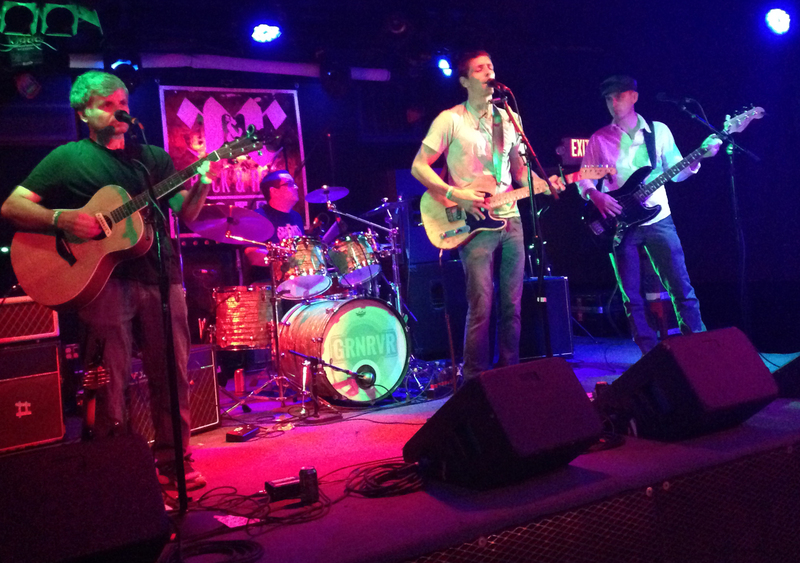 We opened for South Rail at one of Arlington's newest venues. Check out our videos from the event. Saturday, May 7th, 2016 - Petworth Farmer's Market, DC. 10am - noon. Free show, outdoors. Saturday, April 23rd, 2016 - Glen's Garden Market, DC. We celebrated Earth Day and GGM's birthday festival. We'll start playing around noon. Saturday, April 9th, 2016 - William Jeffrey's Tavern, Arlington, VA. 10pm - 1:30am. A great show! Four encores! We look forward to playing WJT again soon. Sunday, January 31st, 2016 - The Black Squirrel, DC. 8 - 11 pm. Free show on the only Sunday in January with no football. Saturday, October 24th, 2015 - Petworth Farmer's Market, DC. 10am - noon. The kids were into it! Friday, September 18, 2015 - Shaw's Tavern, DC. 8 - 11pm. Our triumphant return to the Tavern. Tuesday, June 30th, 2015. The Black Squirrel, DC. 8 - 11 pm. Free show in a great venue. Music starts 8ish. Saturday, June 13th, 2015 - Shaw, DC (private Party). Friday, May 8th, 2015 - Solly's Tavern, DC 9 - 11pm. T. Ferrell album release party for Southerly! Awesome show - look for videos on our YouTube channel and Facebook. Tuesday, January 20th, 2015 - The Black Squirrel, DC. 8 - 11 pm. With the Van Williamson Trio - a great jazz combo. A bit of a genre mashup in an intimate venue, but it should be interesting. Free show. Music starts 8ish. Thursday, January 15th, 2015 - Velvet Lounge, DC. A great venue for an all-out high energy show. With Matt Tarka. $8 cover. Music starts 9ish. October 21, 2014 - The Black Squirrel, DC. 8 - 11 pm. Had a great time with The Music Bones, in a very friendly venue. We'll look forward to next time. September 19, 2014 - Shaw's Tavern, DC. Another great gig at the Tavern, but we hear they're going to stop doing live music. Too bad. June 14, 2014 - Glover Park, DC (private party). May 23, 2014 - Shaw's Tavern, DC. 8 - 11pm. 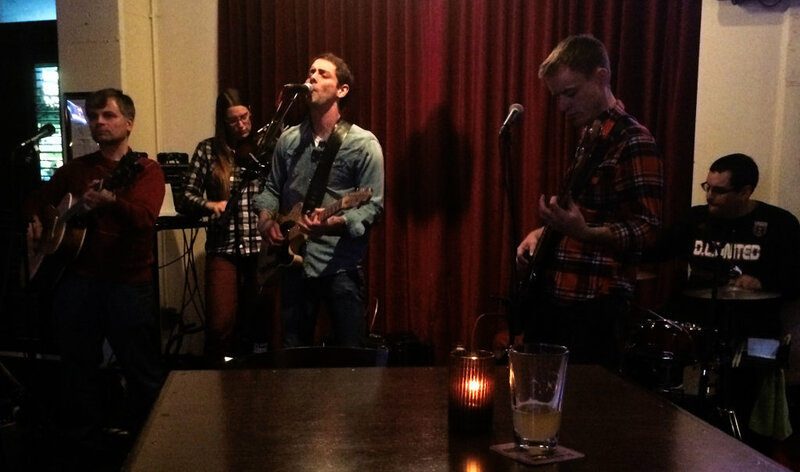 We went electric at one of our favorite venues, until the neighbors complained and made us go acoustic. We had a good time, just more quietly than planned. April 19, 2014 - Glen's Garden Market, DC. Earth Day Birthday, 2 - 4pm. Free show for a friend of the band, with Stacey Sinclair on the fiddle. 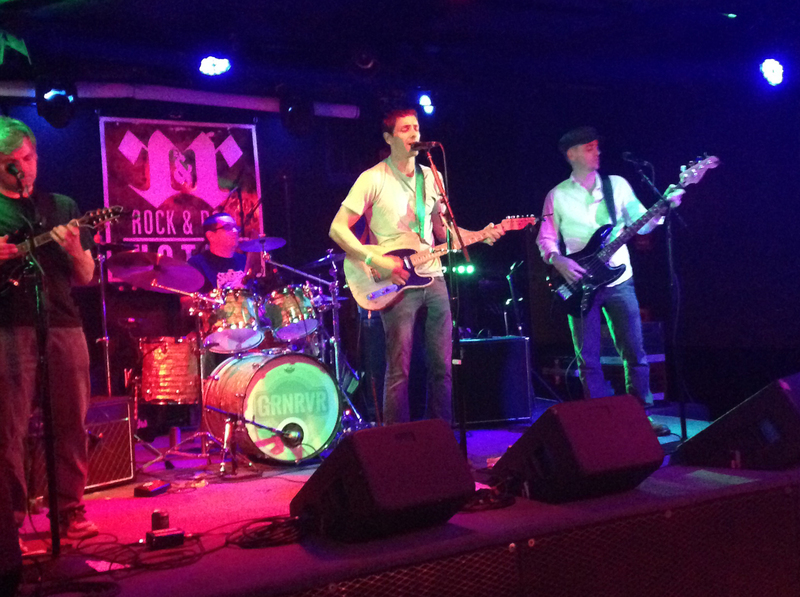 January 24, 2014 - Shaw's Tavern, DC. We played 8pm to 11pm, three sets acoustic. Best job we've ever done with the sound board. Thanks to everyone who came out. August 15, 2013 - Wonderland Ballroom, DC, with Rabbit in the Rye. Farewell show for Joe (banjo) and Chris (drummer), joined by Stacey Sinclair on the fiddle. July 5, 2013 - Shaw's Tavern, DC. An acoustic set, including a rented double bass. June 1, 2013 - Glover Park, DC (private party), with La Unica, White Ford Bronco, and Thee Drive In. Electric set, curtailed by devocalized lead vocalist. May 4, 2013 - MadHatter (private party), DC. Electric set with Pat Gulley on pedal steel. January 18, 2013 - Velvet Lounge, DC, with Butros Butros. Acoustic and electric set. November 25, 2012 - IOTA, Arlington, with Andy Hawk & The Train Wreck Endings, Pretty Gritty, and Adam Bruno. Free show, electric and acoustic, with Stacey Sinclair on the fiddle. 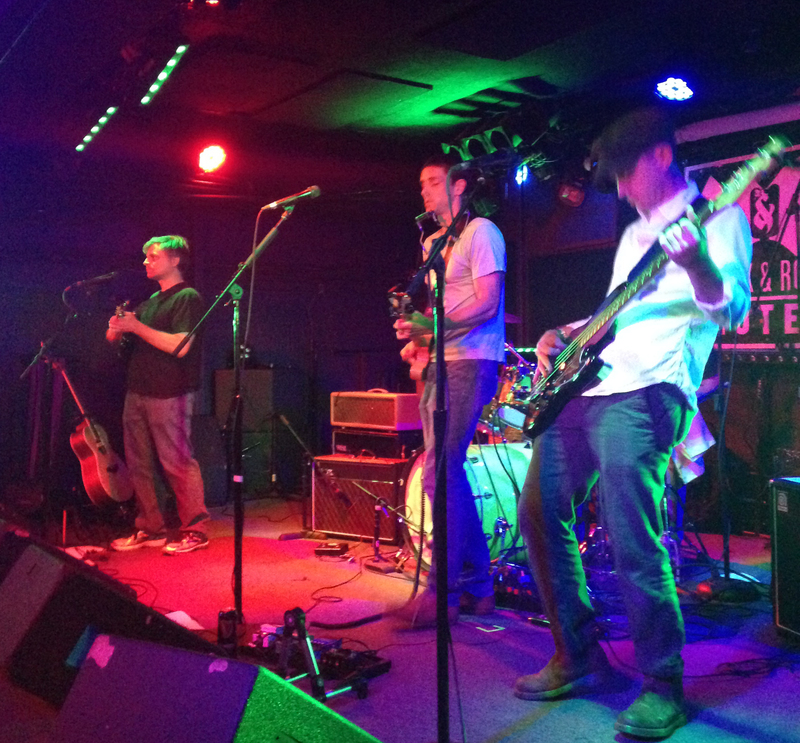 June 28, 2012 - Velvet Lounge, DC, with Charlie and the Contraband.